This work proposes a novel approach in Named Entity rEcognition and Linking (NEEL) in tweets, applying the same strategy already presented for Question Answering (QA) by the same authors. The previous work describes a rule-based and ontology-based system that attempts to retrieve the correct answer to a query from the DBPedia ontology through a similarity measure between the query and the ontology labels. In this paper, a tweet is interpreted as a query for the QA system: both the text and the thread of a tweet are a sequence of statements that have been linked to the ontology. 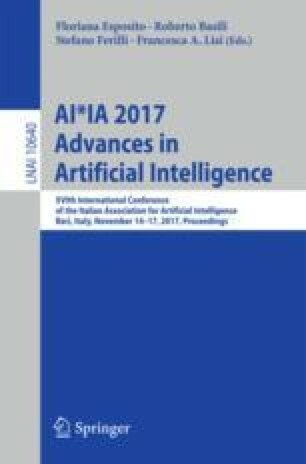 Provided that tweets make extensive use of informal language, the similarity measure and the underlying processes have been devised differently than in the previous approach; also the particular structure of a tweet, that is the presence of mentions, hashtags, and partially structured statements, is taken into consideration for linguistic insights. NEEL is achieved actually as the output of annotating a tweet with the names of the ontological entities retrieved by the system. The strategy is explained in detail along with the architecture and the implementation of the system; also the performance as compared to the systems presented at the #Micropost2016 workshop NEEL Challenge co-located with the World Wide Web conference 2016 (WWW ’16) is reported and discussed.